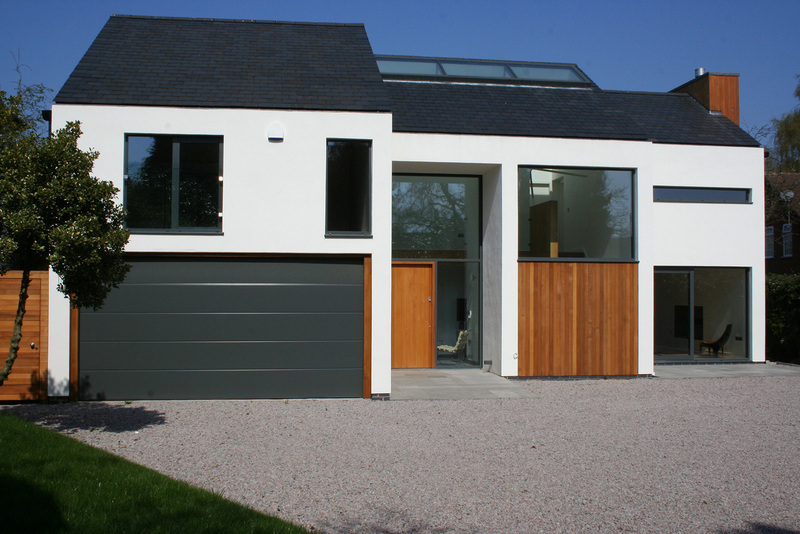 A new-build detached house for a private developer located in Earlswood near Solihull. Site orientation and careful massing of the building made the most available use of views and natural light to the East and West. The greenbelt location, which falls within Stratford on Avon’s planning district, imposed restrictions in terms of volume so a careful balance between footprint and roof heights was required. 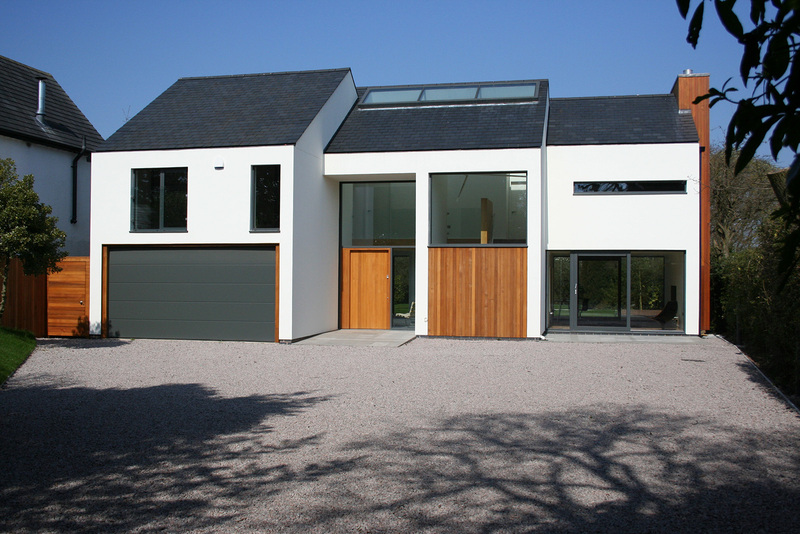 The Client required some traditional elements to the building shape with pitched roofs in order to maximise the potential sales market. 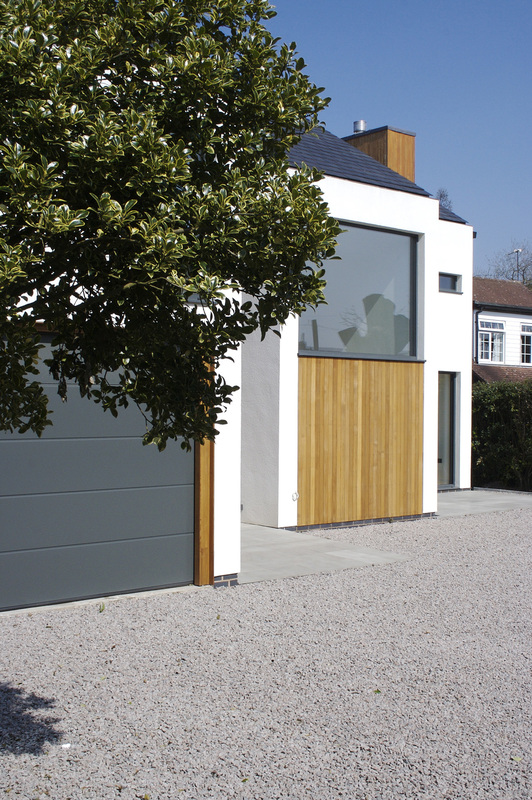 However, with modern materials and detailing, using aluminium framed windows and doors and concealed guttering, a contemporary quality was instilled. 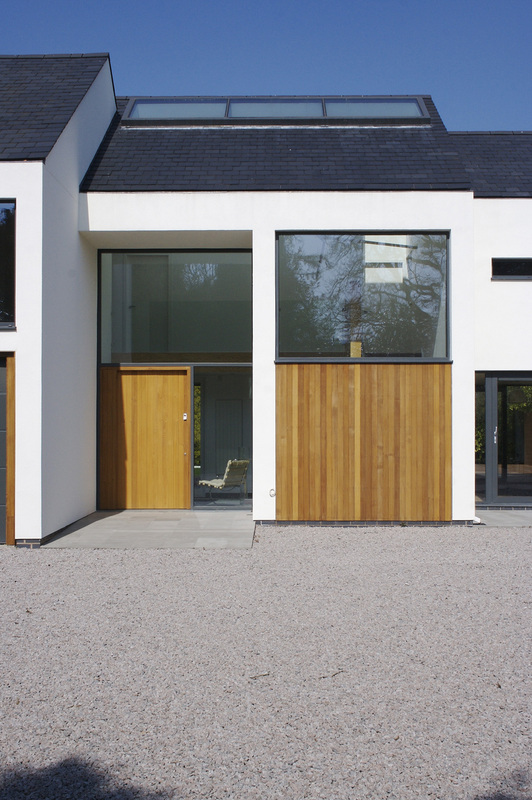 Continued monitoring of budget, aesthetics and performance ensured that the project remained financially viable whilst generating an uncompromised built form.